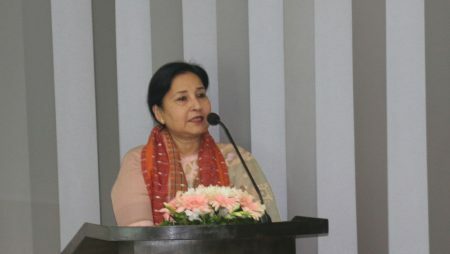 Ms. Parveen Mahmud FCA (Managing Director, Grameen Telecom Trust) received the first investment payback from “ASHIKA Mushroom Seed Social Business” Project under Grameen Telecom Trust’s (GTT’s) Social Business Learning and Innovation Fund (SBLIF) from Mr. Biplob Chakma (Executive Director, ASHIKA) on 31 January 2017. 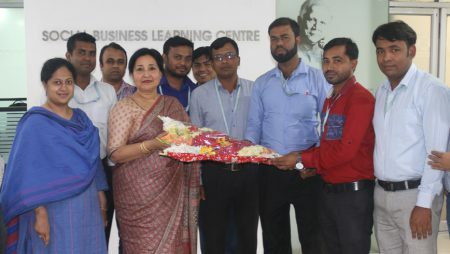 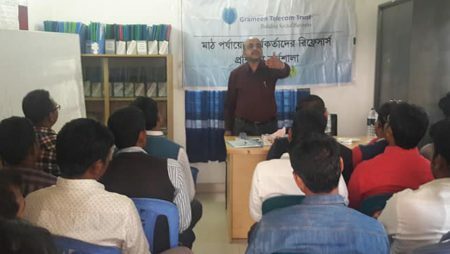 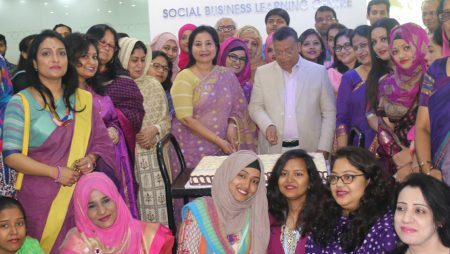 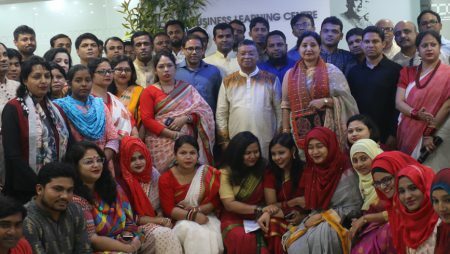 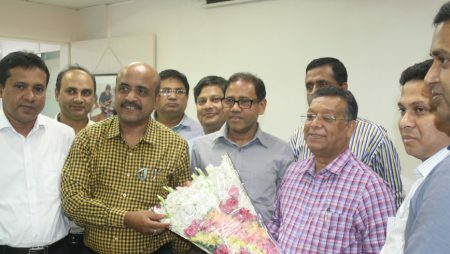 Mr. Sultan Ahmed Bhuiyan FCA (CFO & Board Secretary, Grameen Telecom Trust) and Mr. Jayanta Kumer Bosu (Team Leader, Social Business, Grameen Telecom Trust) were also present there. 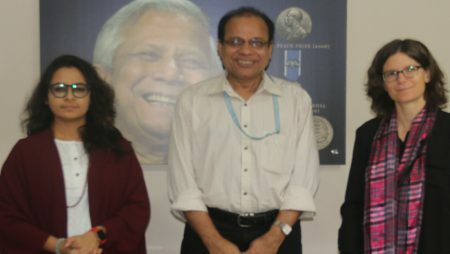 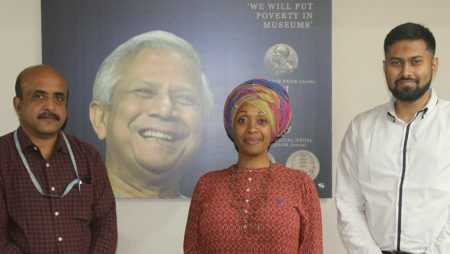 Grameen Telecom Trust (GTT) and ASHIKA Manabik Unnayan Kendra signed the Joint Agreement Venture on Saturday 23rd August 2014 at the 25thYunus Centre Social Business design lab for “ASHIKA Mushroom Seed Social Business” Project under SBLIF. 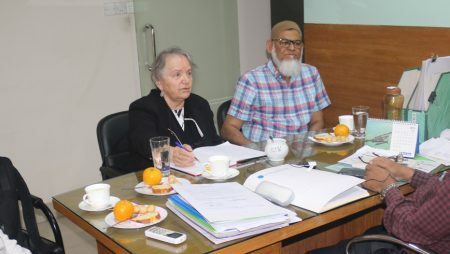 The project aims to locally produce and supply organic mushroom seeds/spawns throughout the Hill Tracts of Chittagong (CHT) and also other parts of Bangladesh. 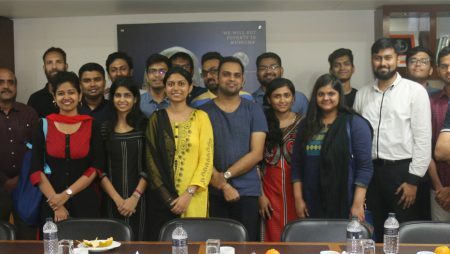 The organic mushroom seeds/spawns is sold to farmers and poor communities to help them get involved in this mushroom farming business and thereby uplifting their quality of life.